Sometimes, actually more often than we think, there’s no substitute for looking into someone’s eyes, for holding hands with a mother, hugging a child, or kneeling in the dirt outside a family’s home. Sometimes ideas can’t replace the tangible part of love that is being with people. The week I spent in Uganda, I experienced this present, ground-level, heart-tugging kind of love. Each day that we distributed beds, our team got off the bus to a procession of women singing and dancing and sweeping us up in their joy. With my dancing skills (aka none at all), I was happy to be included : ). 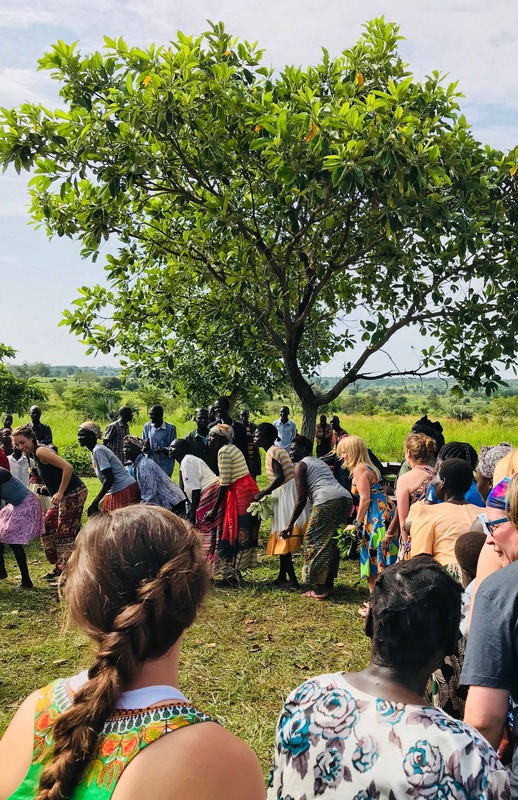 The welcome was long and full, lasted at least an hour, and always reminded me that I was in Uganda to both receive and give love—I don’t think God designed our relationships any other way. 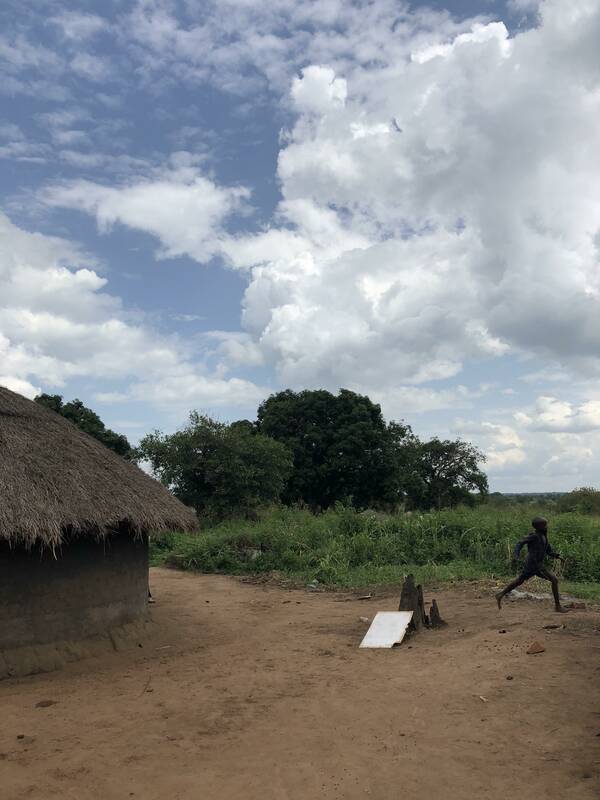 I’m overwhelmed with gratitude—children at the South Sudanese refugee settlement, at three other villages, and at the Good Samaritan orphanage in Kampala received beds for the first time while we were there in June. I got to cross paths with these beautiful people and the rest of the Sweet Sleep team, even if it was only for a few days. I am so grateful to have seen a new part of God’s heart. I’m now convinced that God appreciates some friendly (mostly friendly) competition—one of the best things that brought us together was, yes, the mattress-rolling competition. Seriously, try it sometime. It’s not as easy as you think. The deep longing for something better, and the deep joy of love—both exist in the floodplain. This is where our time in Gulu and Kampala took us. Sometimes, maybe most of the time, seeing hurt and suffering doesn’t feel good. It burdens our hearts. Sometimes though, it brings us close to God’s heart, and the simple, profound love he has for us. Beautiful! The story and the writer! Happy to have travelled with and gotten to know Allison! God bless you Alison. Beautifully written and spot on. While it is painful to see their suffering, the Ugandan people are beautifully resilient, and it is my honor to serve them. It was a joy to see you loving those children. We serve a good God who will wipe away every tear and make all things new. Click here to learn more about our corporate partners. If you would like information about becoming a corporate partner, email us: info@sweetsleep.org. © /// SWEET SLEEP IS A REGISTERED 501(C)3.